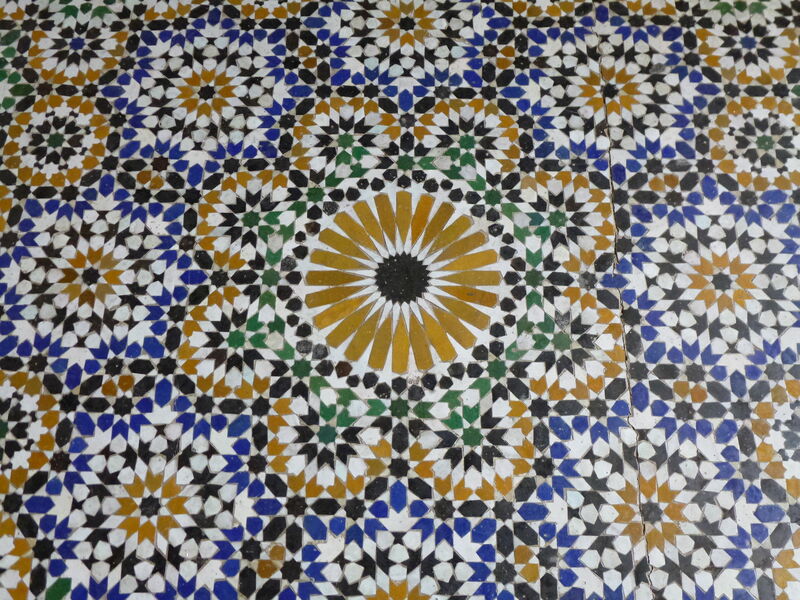 From History Today, an article that celebrates the Eastern Empire's artistic heritage and its pivotal role in shaping Europe and the Islamic world of the Middle Ages. From The Encyclopedia of World History (accessed through the Alabama Virtual Library),This is a great survey of the rise of Islam. It is hard to read online. A paper copy is in the library if you would like to see it. A History Study Center article from 2000. An article from ABC-CLIO about the Muslim Conquests of 624-982 particularly in regard to the Byzantine Empire. 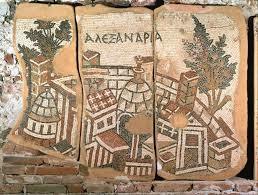 An article from History Today, 1953, that describes how the last remnants of the Byzantine Empire finally disappeared. 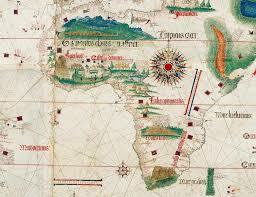 From History Today, 2011, this article relates the story of Arab invasions into North Africa during the seventh century. 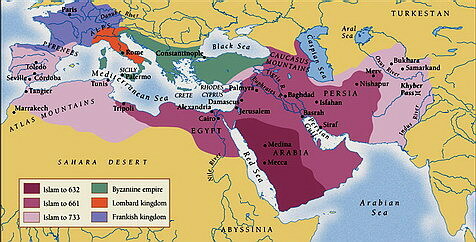 An overview of of the Byzantine Empire from the ABC-CLIO database. 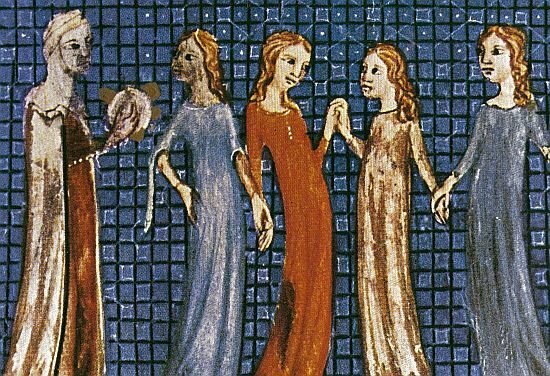 An examination of the of some neglected but remarkable women scholars from the Islamic word during the Middle Ages. The Metroplitan Museum of Art's Helibrunn Timeline of Art History pairs essays and works of art with chronologies which tells the story of art and global culture through the Museum’s collection. 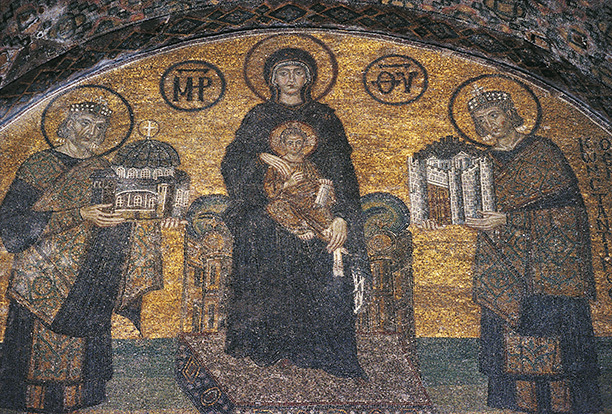 This database provides good broad articles on the topics of the Byzantine Empire as well as the Rise of Islam. 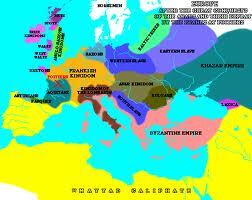 Broad search terms such as Byzantine Empire or Byzantium work for overviews. Use Rise of Islam just Islam for overviews on that topic. Don't forget to use the Perspectives section for good articles about the "how" and "why" of large historical topics such as the Fall of Constantinople. Again, using broad search terms will bring back survey articles. The Study Units will provide great overviews on your topic. The journal articles are limited, but from great scholarly works. There are many primary sources in the Historical Documents section. Salem Press is mostly biographies and primary sources. If you know of a key player in history, this is the pace to go for more facts. Constantine or Muhammad for example. For a helpful index to what is covered, click on the subject index tab. J STOR has a wealth of scholarly articles in many topics. Searching broadly here will not work. Narrow your topic as best you can using keywords and search limiters. Make sure you filter your result to those things you can gt in full text. Don't forget the Alabama Virtual Library! They have many great sources we can use. In this case EBSCOhost Search is a good option. Limit your search to History Reference Center and then again by time period for faster results. Two databases with great general info on the ancient world. 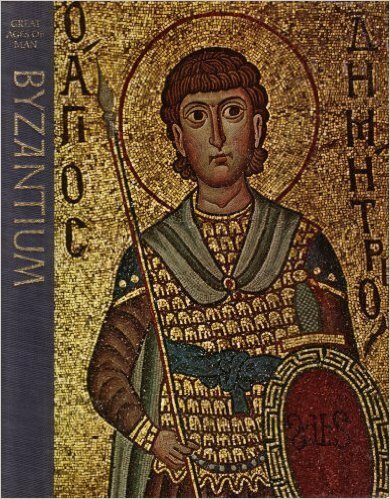 The Britannica High School Edition in the Alabama Virtual Library has a GREAT article about the Byzantine Empire - covering all topics. Don't overlook it! Written by: Koraës Professor Emeritus of Byzantine and Modern Greek History, Language, and Literature, King's College, University of London. Director, Gennadius Library, American School of Classical Studies at Athens, 1989–92. Author of The Last Centuries of Byzantium and others. 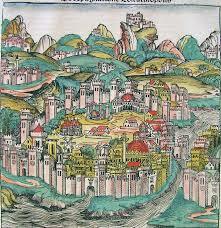 Fordham University's impressive Byzantine studies website. Solid scholarly source. A collection of museums containing Islamic artifacts. 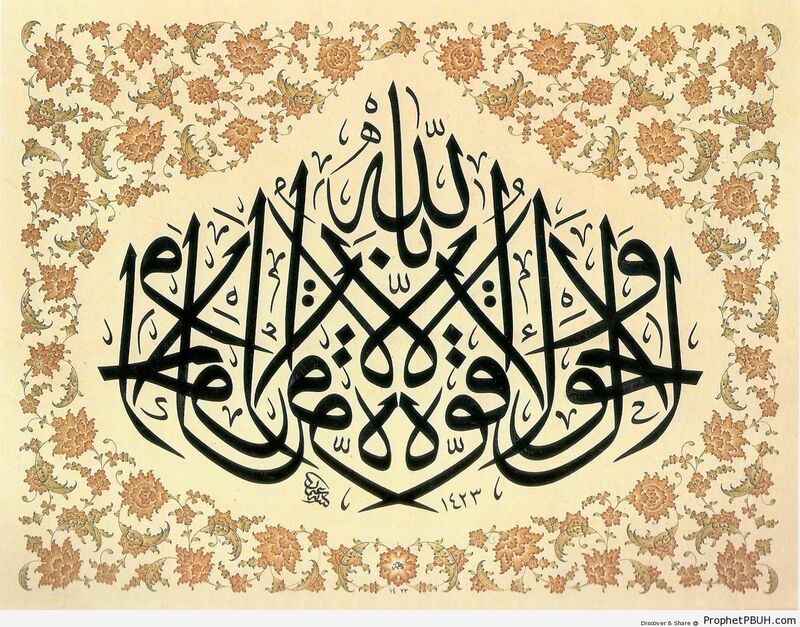 Islamic Art and Culture - A PDF Document. A great resource for teachers about Islamic Art and Culture – University of Chicago in partnership with the National Gallery of Art. From the Houghton Library and the Harvard Art Museum/Arthur M. Sackler Museum, over 280 manuscripts dating from the 10th to the 20th centuries CE. These Islamic manuscripts constitute a record of the diverse artistic traditions, literary cultures, learning traditions, and religious interpretations of the pre-modern Islamic world. Take a virtual tour of Byzantine Artifacts at the Archeological Museum in Istanbul. Coins from the Byzantine era with images of rulers and gods. 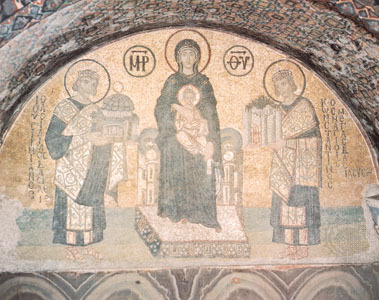 Search "Byzantine" and find many many articles on many topics. 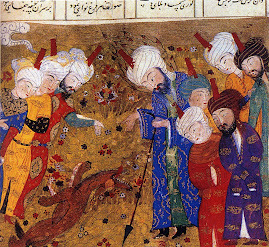 The divide between Sunnis and Shia is the largest and oldest in the history of Islam. 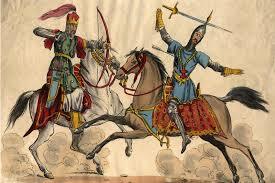 Members of the two sects have co-existed for centuries and share many fundamental beliefs and practices. 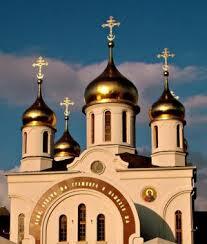 But they differ in doctrine, ritual, law, theology and religious organisation.